It was a great show and you can hear it all right here! 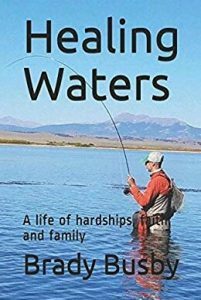 Veteran, Author, and Ambassador for Project Healing Waters, Brady Busby, joined us from Colorado Springs to talk about his new book, Healing Waters: A Life of Hardships, Faith, and Family, about overcoming adversity through the healing of fly fishing. 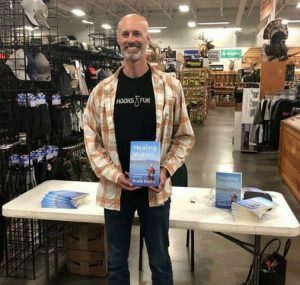 This is a personal look the trials and challenges of dealing with Post Traumatic Stress Disorder, Traumatic Brain Injury, and Chronic Pain, as well as the recent loss of his daughter. This memoir covers multiple military deployments, military family life, and struggles no parent should have. Find out more about Brady and order the book HealingWatersBook.com. All proceeds from the book will go to the Ashley Busby Foundation, in memory of Brady’s daughter, Ashley, and is dedicated to suicide education and prevention, help for families in the wake of suicide, resources for victims of sexual assault, and mental health resources. 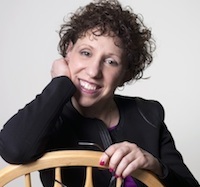 In addition, there is a scholarship award for two students every year through this Foundation. Find out more at: AshleyBusby.org. Find out about Project Healing Waters Fly Fishing (PHWFF), helping wounded veterans and those who are suffering from hidden wounds, such as PTSD, at: ProjectHealingWaters.org. You can also reach Brady directly to invite him to speak at: brady.busby.hw@gmail.com or by calling 719-629-6284. 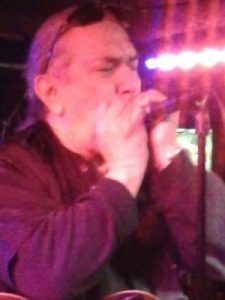 Art Mendoza, producer of this program told about some of the artists and musicians who will soon be on this program. 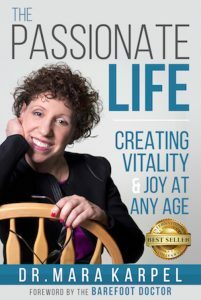 And Dr. Mara with another sneak peek into her book, The Passionate Life: Creating Vitality & Joy at Any Age to discuss gradual changes rather than the “quick fix” of a “magic pill” to create more sustainable joy and vitality.